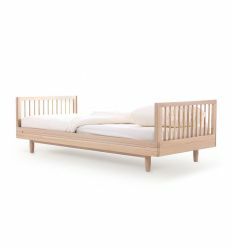 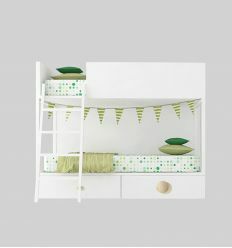 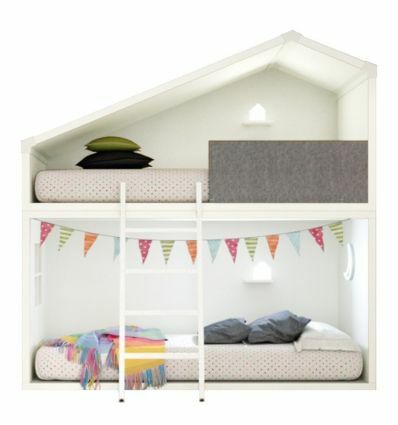 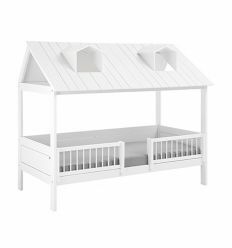 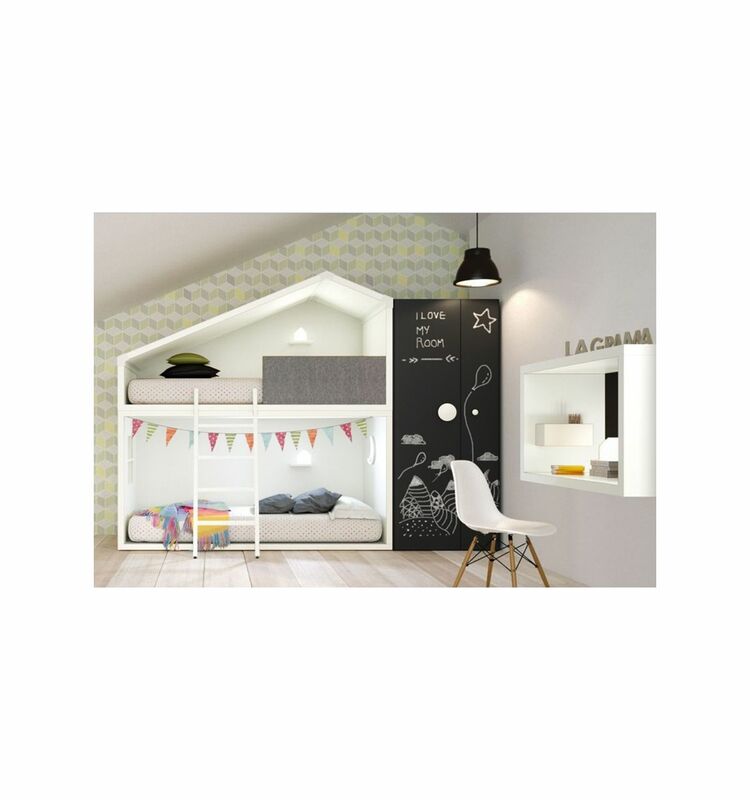 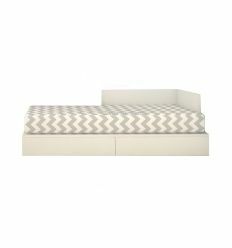 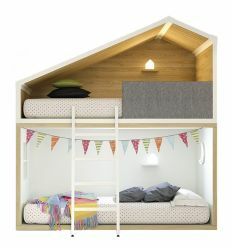 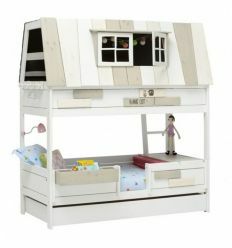 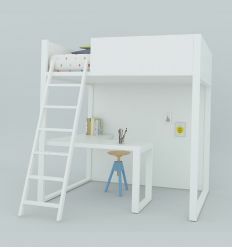 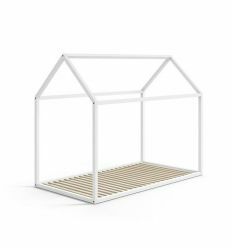 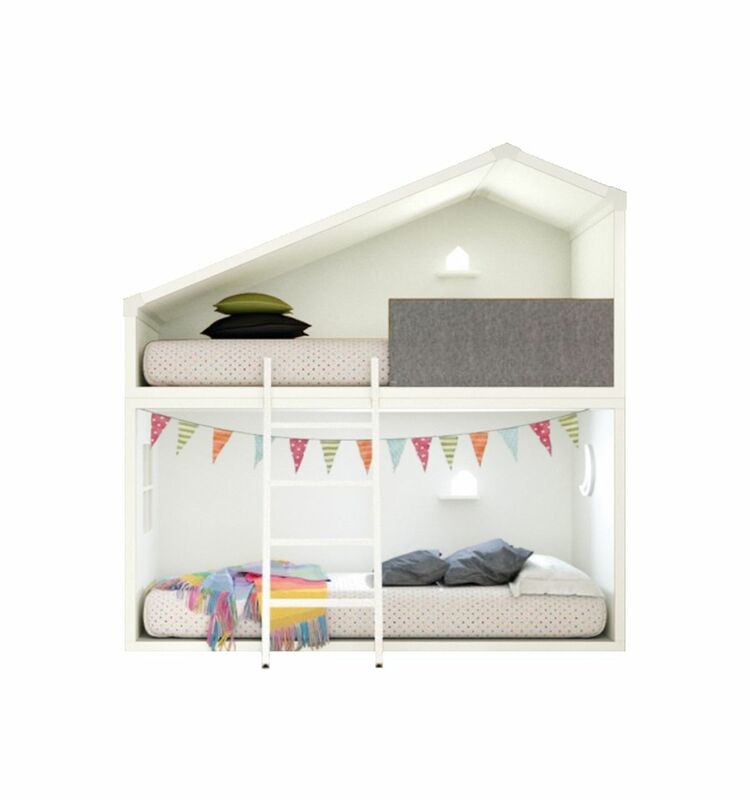 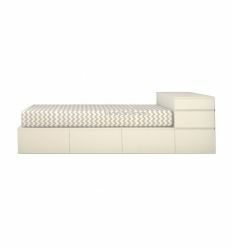 "Cottage" bunk bed shaped like house (white) by Lagrama. 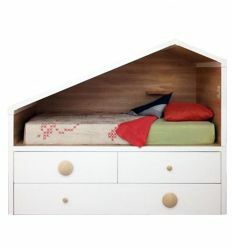 Design and concept innovative: this bed is a real house inside your kid's room, a refuge where play, read and sleep. 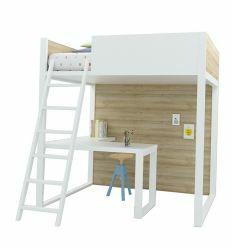 - Material: made of boarding created out of small particles of recycled wood, made compact at high temperatures (MDF). 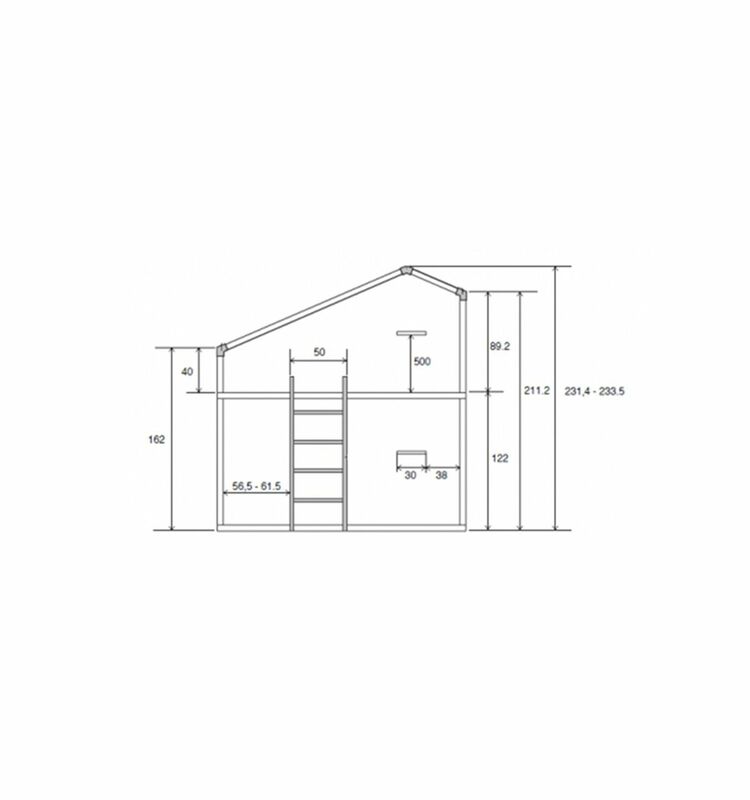 E1 classified and low in formaldehyde. 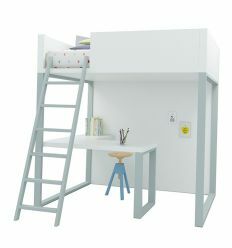 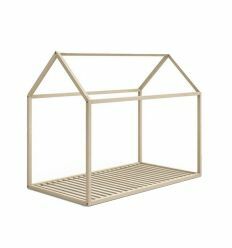 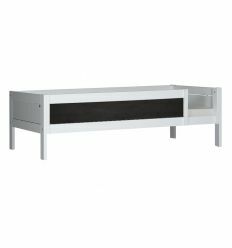 - Dimensions: width 210cm, depth 102cm, height 231,5cm; shelves width 30cm.